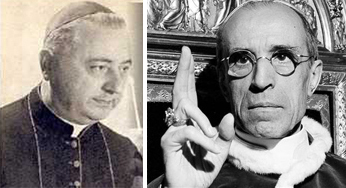 The fate of the Mass of the Pre-Sanctified was already sealed when Pius XII appointed his Commission for the General Reform of the Liturgy in 1948 and left it in the hands of the master of the dark arts himself, Fr. Annibale Bugnini. It was as counter-productive as inviting a group of deserters or draft dodgers to rewrite the rules of discipline and loyalty in the Armed Forces. No other outcome could have been expected from a Commission that gave precedence over Tradition to a set of reforms which were merely an expression of ideological views prevalent in the Liturgical Movement. In fact, the precise opposite is true: the Church has always in principle rejected the idea of a general reform of the liturgy conceived out of “pastoral expediency” based on the subjective perceptions of contemporary man. 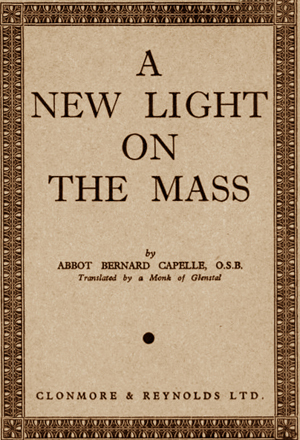 Here we are concerned with one of Bugnini’s protégés, Dom Bernard Capelle, Abbot of Mont-Cesar (Beauduin’s monastery) and Professor at the University of Louvain, for as one of Bugnini’s inner circle, Capelle was in a position of unrivalled influence at the very heart of the official Liturgical Movement. We will see how, through his reputation as a liturgical scholar, whatever he said about the Mass of the Pre-Sanctified would be accepted without question by the reformers and used as a lever to topple the ancient edifice. Where better to raise the profile of this particular reform than at the International Congress on the Liturgy held at Lugano in 1953? It was there that Dom Capelle gave a talk in which he pushed for the abolition of the Mass of the Pre-Sanctified. Capelle spoke as if with a sense of acute embarrassment, even shame, about these traditions of Catholic worship. He described them as “intolerable,” alleging that they gave “a false impression” that the Pre-Sanctified rite was a real Mass. (6) This conveys the subliminal message that it should be abolished. No wonder that the rite has ever since been regarded with suspicion and even disdain. In its place, Capelle recommended a service of Communion for all, which, as we have seen, was Fr. Ferdinando Antonelli’s original idea. At this point, alarm bells should have been ringing throughout the Vatican. For such a proposal, when made into liturgical law two years later, would make it illicit to perform this distinctly Catholic rite that expressed the essential link between the Last Supper and Calvary. And furthermore, as history has shown, it would not be long before traditional Catholics would find themselves outlawed as well. How many Catholics today, including traditionalists, know what the “Mass of the Pre-Sanctified” was? How could they, considering that it was abolished long before most of them were born? Some confuse its identity with the Good Friday Communion of the 1962 Missal. In other words, they do not know that there is anything to know about it – surely a very successful damnatio memoriae. Q.E.D. Jungmann, Capelle and Righetti were members of the 1960 Central Preparatory Commission for the Liturgy. Capelle died in 1961. In 1964, Jungmann and Righetti were appointed as Consultors to Group 10 of the Consilium, which received the task of reforming the Order of Mass. All worked under Bugnini’s supervision. A list of attendees is given in La Maison-Dieu, 37, January 1954, pp. 8-9. B. Capelle, ‘Le Vendredi Saint,’ La Maison-Dieu, n. 37, January 1954, p. 93. Bugnini mentioned in The Reform of the Liturgy 1948-1975 that the Consilium eliminated the Offertory prayers and attempted to do the same with the Oratre Fratres and the use of incense. B. Capelle, ‘Le Vendredi Saint,’ La Maison-Dieu, p.116. Cf. La Maison-Dieu, n. 37, January 1954, p. 10. He had made this statement in a speech given in Linz, Austria, shortly before the Congress. See La Maison-Dieu, n. 37, January, p. 126. La Maison-Dieu, n. 37, p. 3. And there was a letter from Mgr. 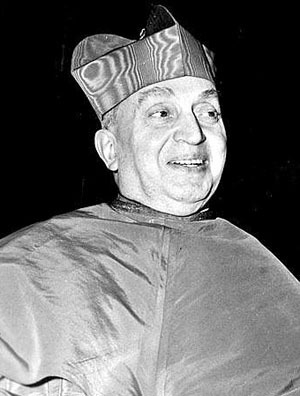 Montini urging active participation for the faithful. Ibid., p. 10.